Who is behind the launch of CNN in Brazil? The launch of CNN in Brazil was announced this week, a project spearheaded by journalist Douglas Tavolaro, a nephew of evangelical preacher and billionaire media mogul Edir Macedo, and the second biggest investor in the country’s recent elections, Rubens Menin. CNN, however, will not operate in Brazil. 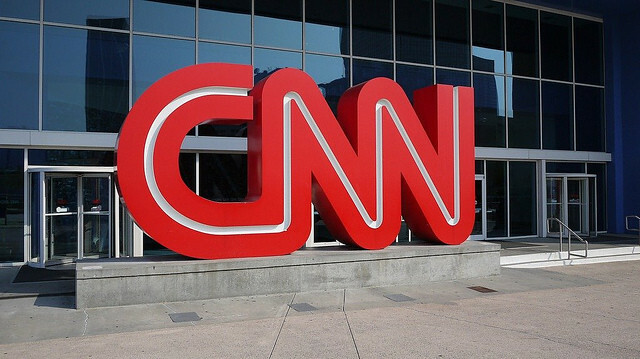 The negotiations to bring the US brand to the country were entered into with Turner International, responsible for licensing CNN operations outside the United States. The CEO of CNN Brazil will be Douglas Tavolaro, a journalist and former vice president of the country’s second biggest media group TV Record for 14 years. He also co-authored the biography of Edir Macedo – his uncle, the leader of the Universal Church of the Kingdom of God, and owner of the TV channel. Record, the second most-watched TV channel in Brazil, editorially aligned themselves with the new government and was the network chosen by Jair Bolsonaro to grant his first exclusive interview after the results of the presidential election were out last year. In October, during the election process, the Union of Professional Journalists of the State of São Paulo reported that Record directors pressured and harassed employees so that its news content was biased in favor of Bolsonaro to the detriment of the Workers’ Party candidate, Fernando Haddad. Tavolaro was the vice-president of the News department at the time. The head of the union, Paulo Zocchi, argued the news started to be “blatantly manipulated” to favor the far-right candidate only a few days after Edir Macedo announced he endorsed Bolsonaro. During the elections, the union leader recalls, the home page of Record-owned news portal R7 established a pattern in which they would always highlight four stories: two pro-Bolsonaro pieces and two articles attacking Haddad. “That was the standard,” he said. As head of the union of journalists, Zocchi celebrates that hundreds of new jobs will be created by CNN Brazil, as the news industry is going through a difficult time in the country. The channel is expected to hire 400 journalists. Tavolaro’s move from Record to CNN Brazil came as a surprise in news circles, as his name was being considered to take over as president of the Record network. Rubens Menin, who will be an investor and a member of the board of the new channel, announced the launch of CNN Brazil on Twitter. Menin is the head of the construction company MRV Engenharia, which sponsored the biographical film Nada a Perder, based on Tavolaro’s book about Macedo. Not only does he fund movies, the businessman was also the second biggest campaign contributor to candidates in Brazil’s 2018 elections. His construction company spent more than R$2.6 million (roughly US$700,000) on the campaign of 23 candidates running for office in the legislative and executive branches. Menin’s business partners and family members also donated to political campaigns in the country’s recent elections. Menin lobbied to stop the so-called “dirty list” of companies involved in slave labor. His company MRV Engenharia was nabbed five times between 2011 and 2014 for slave-like conditions of construction workers. Reporter Brasil reported 203 workers were rescued from construction sites connected to the company in four years. In late 2014, the Brazilian Association of Real Estate Developers filed a petition with the Supreme Court to take down the list. Menin was the president of the association at the time. The Menin family also controls Banco Inter and Log Commercial Properties.